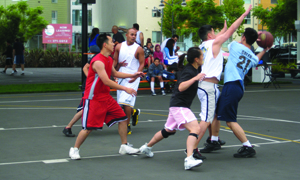 This Park Partner group puts on family-oriented community building events at parks in the Marina District coordinated with the Marina Community Association. Look for the 3rd Annual Marina Family Fest next September! The Blue Bear School of Music is a non-profit organization whose mission is to provide superior quality and affordable popular music education to aspiring musicians of all ages and skill levels within a supportive and encouraging community.